Bailey O’Brien is a stage 4 melanoma survivor, cancer coach and community lover. In 2007 at the age of 17 she was first diagnosed cancer before she became terminal in 2011. Finding herself at the end of her conventional-wisdom-rope, Bailey took a chance on alternative methods including treatment at a Mexican hospital and a radical diet and lifestyle change. Despite the odds and by the grace of God, she was healed! Bailey’s healing prompted her quest for meaning, truth and purpose, and since finding it her life has been forever changed for the good. She now helps others with cancer and it brings her great joy to share her belief that in every situation there is always hope, health-related and otherwise. Bailey is living proof that with God, all things are possible! Her website is www.baileyobrien.com and you can find her on Facebook and Instagram at facebook.com/baileyobrien330 and Instagram.com/bailey330. My guest, Saturday,Dr Henning Saupe was born in 1964 in Germany and qualified from Ulm University (Germany) as M.D. in 1994 and received a doctorate in medicine „Dr.med.” in 1995. In 2005 he opened Swedens first complementary cancer clinic „Arkadiakliniken” with hyperthermia as a new treatment option. in 2006 Arcadia clinic moved to Germany, where it has expanded into a residential clinic that incorporates all the classic treatments, used in complementary cancer medicine, such as Insulin potentiation therapy, local and whole body hyperthermia, botanical cytostatic drugs in infusions, magnetic therapy, oxygen and ozone therapies, anti cancer diet, detox and orthomolecular medicine, meditation, yoga and psycho-oncology. His focus for the last 25 years was on holistic, naturopathic and complementary therapies for the ones who suffer from cancer. 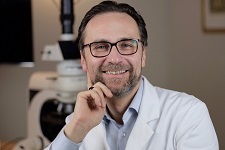 Dr. Saupe gives lectures in many European countries, Sweden, Denmark, Norway, UK and Germany and will be a speaker at Annie Appleseed Cancer Conference in West-Palm Beach, February 28th 2018. My guest this week is Iván Figueroa Otero M.D. 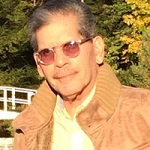 FACS, FAAMA/ After graduating from the School of Medicine of the University of PR in 1970, Dr. Figueroa Otero trains as General Surgeon at the University Hospital of the UPR School of Medicine, integrating a one-year fellowship in the study of cancer, and one year in experimental research. Post-graduate studies in Pediatric Surgery, then follow at Miami Children’s Hospital and the San Juan Municipal Hospital. Looking for non-surgical or less invasive options for pediatric conditions, Dr. Figueroa Otero explores Eastern philosophies that emphasize a holistic concept of disease. He was one of the first physicians to become certified in medical acupuncture in Puerto Rico, training in traditional Chinese medicine and acupuncture with professors from the University of Seville. Eventually he was certified in medical acupuncture nationally. In 2009, he became certified in anti- aging medicine and in December of that year he retired from the practice of pediatric surgery, focusing instead on a holistic medical practice and emphasizing disease prevention and modification of life styles. In 2011 he was invited to become a Trustee of the American Board of Medical Acupuncture, which is the national body organization responsible for certifying physicians in the field of acupuncture through national exams. In that same year he was recognized by Natural Awakenings magazine as Holistic Physician of the Year. Dr. Figueroa Otero is currently engaged in his private practice and continues in his role as an educator, trying to achieve full integration of traditional Chinese acupuncture courses in the curriculum of medical schools, promoting that physicians to be certified both locally and nationally, and to establish clinical research protocols on the use of acupuncture in known conditions compared to the methodology established by modern medicine. Another immediate priority is to incorporate meditation techniques and their role in preventive and therapeutic medicine. 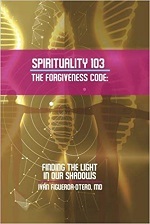 He has authored multiple books including Spirituality 103: The forgiveness Code. Tara & Steve Mann (Cancer Crackdown) and Bernice Yoder (Pancreatic Cancer Survivor) Interview. My first guests, Tara and Steve Mann, are Co-Founders, CEO and President of Cancer Crackdown. (This is a continuation of an interview started last show). Cancer Crackdown is a 501(c)(3) Non-Profit organization, their passion is to help fighters take their battle with cancer to the next level. They are unique in that they fight alongside those battling this disease. They develop plans and help fighters and survivors to be successful in following them to reach their overall health goals. They offer a wide range of resources and encouragement for those fighting, those surviving and those that wish to prevent this disease. We all have a choice in this battle against cancer, to survive or to prevent!! Their mission is to be the trusted source of knowledge regarding natural therapies to defeat cancer and remain cancer free. We partner with fighters and survivors by supporting and navigating them through their battle. Together, they develop a unique plan that is specific to each individual and instills in them a fearless approach to winning the battle. Cancer Crackdown started as a small group on Facebook in January 2012 with a few people who wanted to share some information on tips and best practices during chemo. Cancer Crackdown has grown and we are now serving cancer fighters all over the world!! My second guest is Bernice Yoder, a 9 year pancreatic cancer survivor. Berenice says: I will be a nine year pancreatic cancer survivor this coming November. When I found out I had cancer, I had no idea what pancreatic cancer was. It had never touched my immediate or extended family. It was something you heard of or read about, not something that happened to you. Michael Finkelstein, MD, FACP, ABIHM, aka The Slow Medicine Doctor®, is the author of Slow Medicine: Hope and Healing for Chronic Illness, endorsed by Andrew Weil, MD and Mehmet Oz, MD. Dr. Finkelstein is the founder and medical director of SunRaven: The Home of Slow Medicine; he is an adjunct professor at SUNY Binghamton; he has been featured in top media outlets including The New York Times, CNN, and Real Simple; he has presented at leading venues including GE Corporation, Stanford University, and Omega Institute; and he blogs on the topic of Slow Medicine for The Huffington Post. patients and the medical system as a whole: Slow Medicine. Interviews with Dr Shani Fox (cancer recurrence fear) and Brett Larkin (meditation) Now AVailable. Dr Anne Marie Evers Interview on Affirmations and Their Use to Decrease Side Effects of Chemo Now Available. Was Jesus a Shaman and Does He Speak With Us Today-A Special Christmas Show. Yesterday, Dr Carl O Helvie, Host, Holistic Health Show on BBS Radio interviewed Dee Wallace (left) and Brenda Hoffman on the final program of the Ascension of 2012 series. .